Why don’t butterflies and bees visit the same flowers? Nectar drinkers must feed quickly and efficiently due to the threat of predation. While the sweetest nectar offers the greatest energetic rewards, the sharp increase of viscosity with sugar concentration makes it the most difficult to transport. With my coworkers at MIT, we have demonstrated that the sugar concentration that optimizes energy transport depends exclusively on the drinking technique employed. We have identified three nectar drinking techniques: active suction, capillary suction, and viscous dipping. For each, we have deduced the dependence of the volume intake rate on the nectar viscosity and thus we have inferred an optimal sugar concentration consistent with laboratory measurements. Our results provide the first rationale for why suction feeders typically pollinate flowers with lower sugar concentration nectar than their counterparts that use viscous dipping. 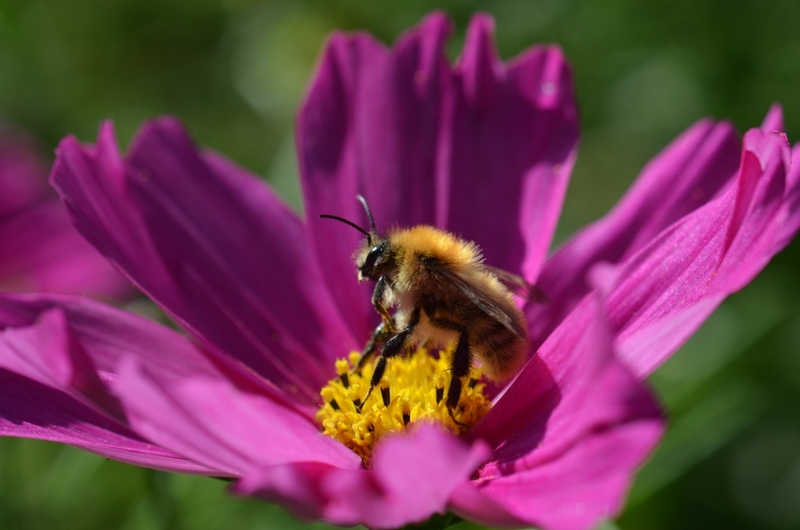 Since flowers do best to produce the nectar preferred by their pollinators, the study provides a new example of optimization in nature’s designs, and the process of coevolution between flowers and their pollinators.